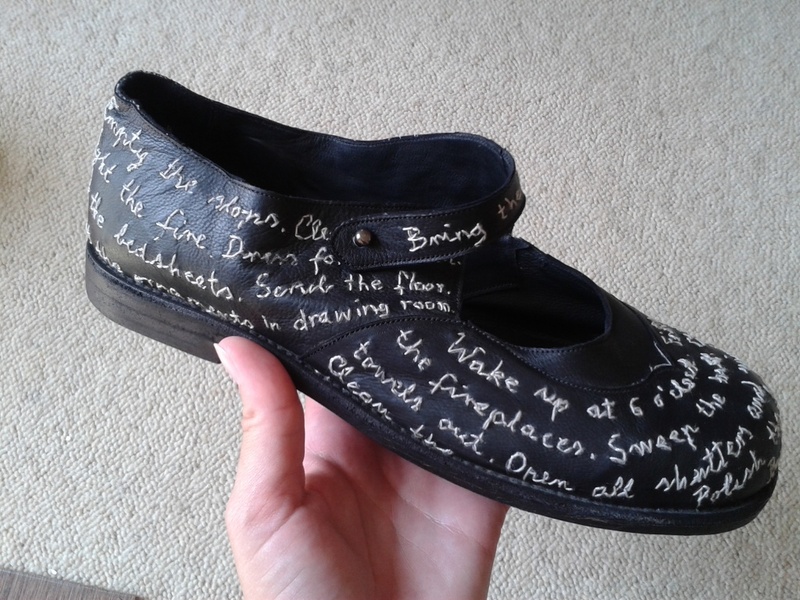 The part of the Croome Redefined Project is Soul to Sole, a multidisciplinary and multi-sensory installation, where artists will have a chance to reinterpret one of the characters from the Croome Court history within a pair of shoes. 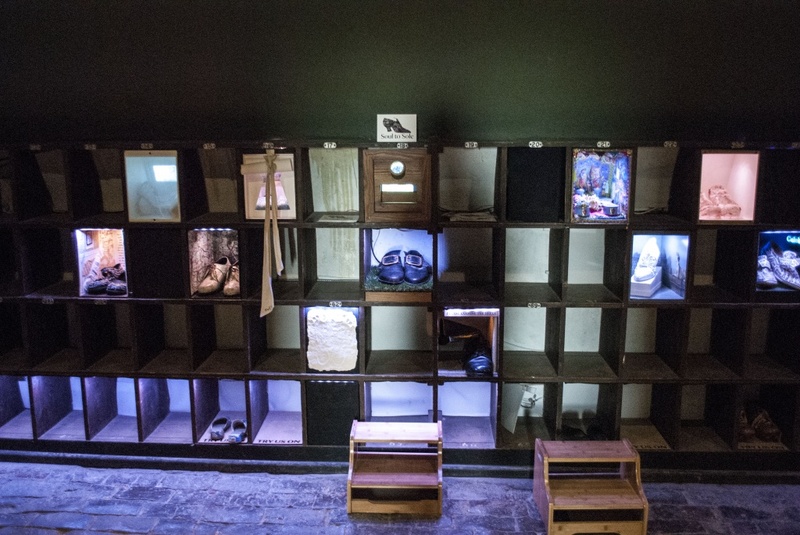 The installation is located in the basement, in one of the shoe racks. 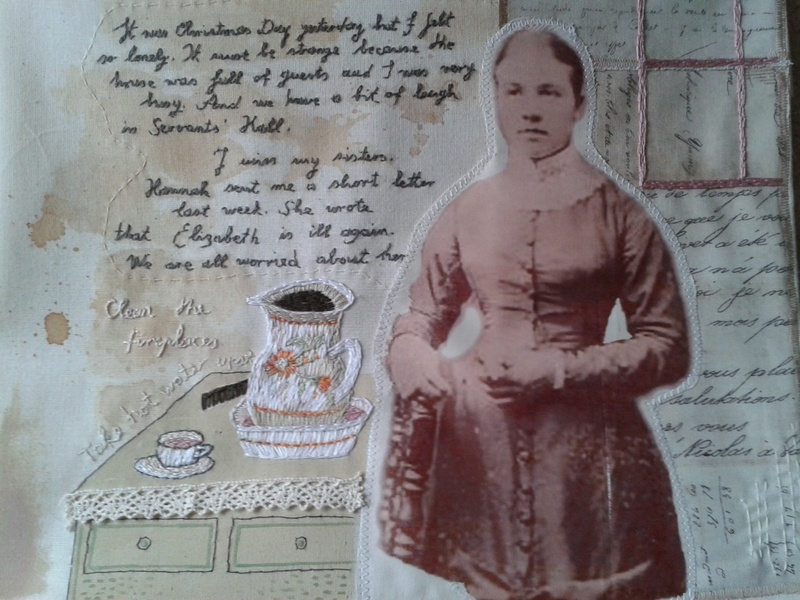 The artist were given an opportunity to create their project using the archive material of Croome Court and their own imagination and so to create a unique artwork that will link future visitors to the Croome’s fascinating history. I chose Fanny Ward, a maid at Croome Court in the late 19th century. I created is an intimate story of Fanny’s day-to-day life, and turn the shoe rack into a small bedroom as Fanny might have had in Croome Court. For 16 years of her life in service, her small room would be her whole world. 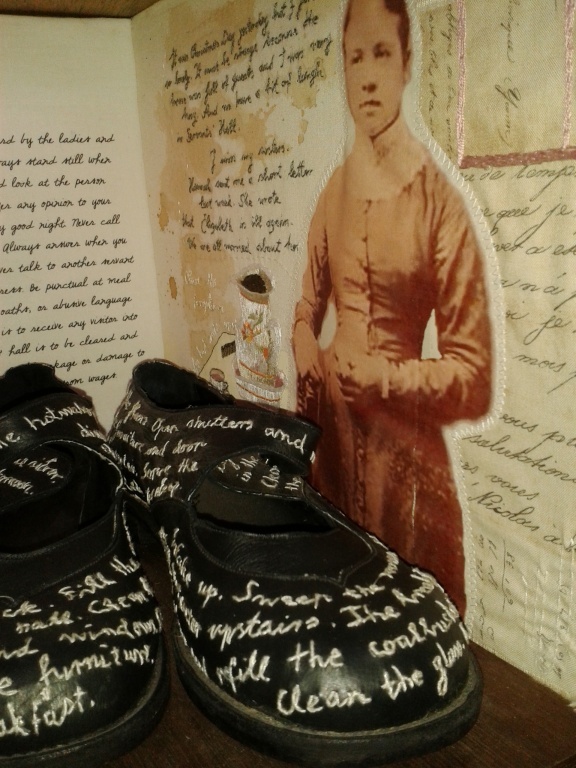 The work was based on writing and textile. Writing, because I have a feeling that words in the form of letters, diaries or memoirs will give us today the best insight into the servant’s life of the bygone era. Textile, because it is a soft, intimate and essentially feminine material. 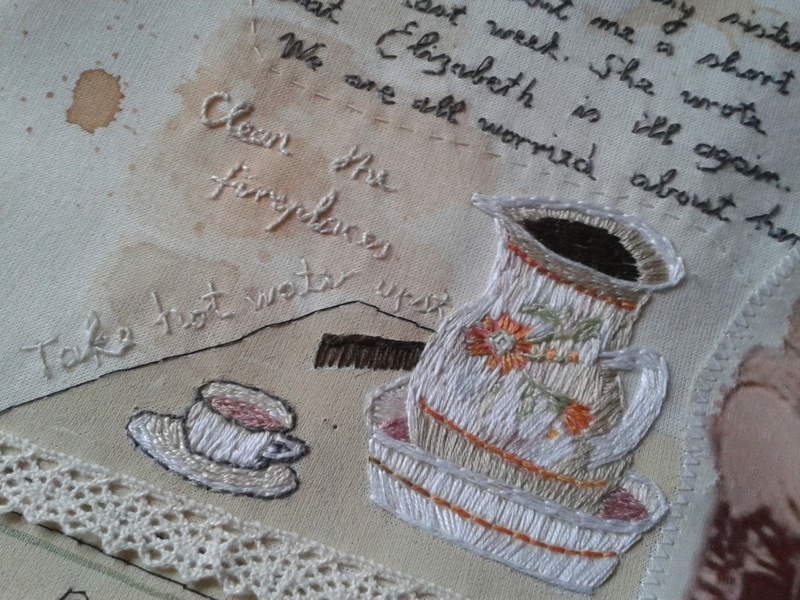 Fabrics and threads will also show certain connections between Victorian women and me, as a contemporary textile artist. 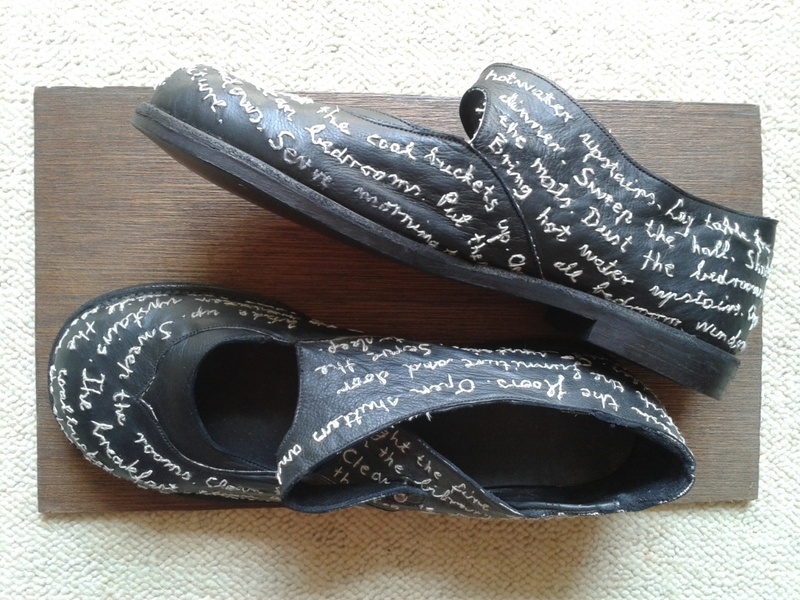 A pair of shoes were custom-made by project’s shoemaker, Maud van den Broecke, from the leather that I have hand embroidered. 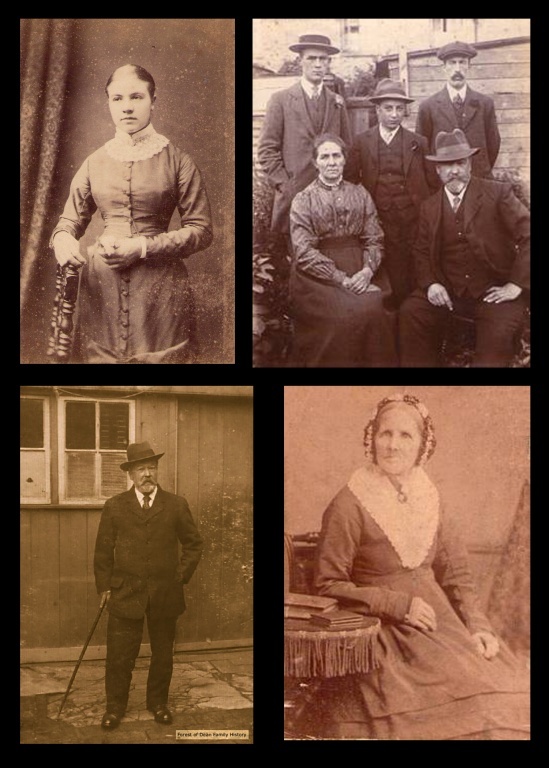 Unfortunately, there was not much documentation about Fanny Ward and her service at Croome Court. I was so lucky to have a chance to contact Fanny’s grandson, Mr Robin Tingle, who gave me the crucial information and inspiration to get a grip on this project. Many thanks to him for the kind permission for usage of photographs and information.